Practicing yoga since the early 70’s, Lynda taught her first class for a Parks and Recreation Department as part of a fitness program in 1974. She has years of practical experience and has worked with several different instructors. Lynda is passionate about making yoga accessible to everyone, improving quality of life and sharing the health benefits of yoga. Helping her students figure out how to improve, work with or work around what ever it is that is keeping them from being as mobile and as healthy as they can be. Many students come to her for pre and post op yoga for their preparation or recovery from surgery on knees, hips, shoulders, etc. 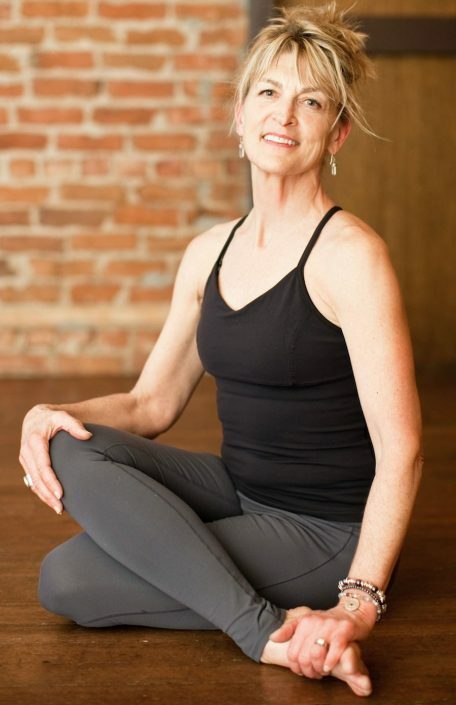 She has classes for those students with needs for modifications for their yoga practice, i.e., recovering from injuries, arthritis, extra weight, back issues, etc. She has developed a practice for Seniors, called Mature Movers, focusing on the movements that improve quality of life as we age. There is a great demand for these classes as the Baby Boomers come of age. They are not interested in doing yoga from a chair and want a vibrant moving practice…just with some safe modifications. Power yoga is also a passion, keeping and improving our strength, flexibility, and of course enjoying some inversions. 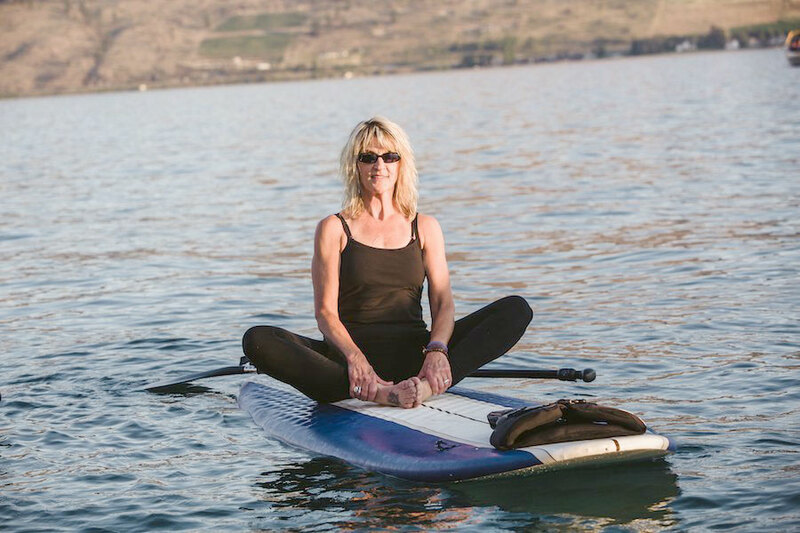 In 2011, Lynda began volunteering with the Wenatchee Wellness Program which now offers an outreach Wellness Yoga Program in Chelan which Lynda teaches. 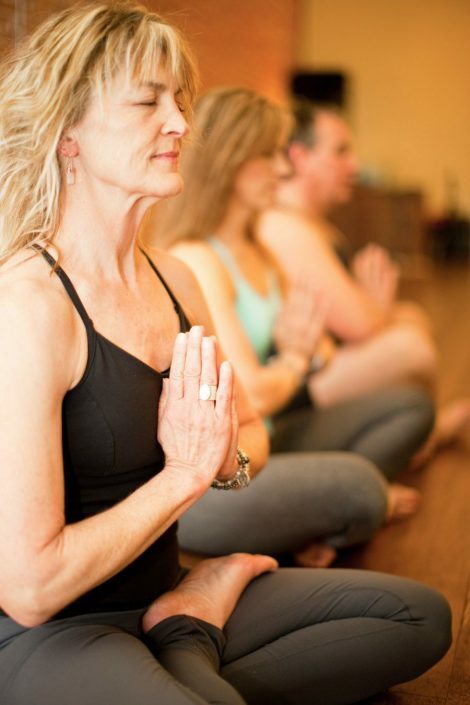 The classes are held at the studio and are designed for cancer survivors, people living with illnesses, and caregivers. 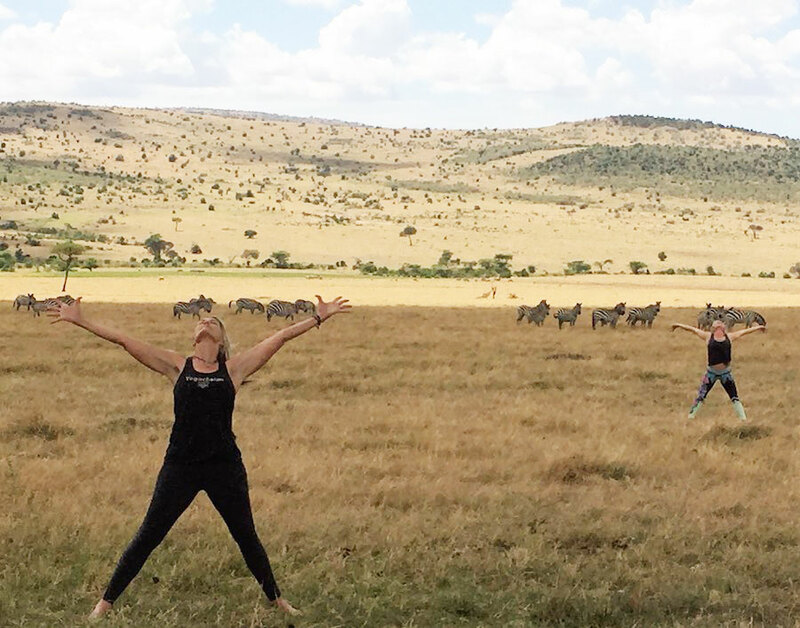 Loving the outdoors, Lynda is always ready for a yoga pose with nature. She hikes, back packs, snow shoes, plays golf, gardens, and enjoys paddle board yoga. Lynda’s spiritual name, Sat Dharam Kaur, which means the Princess/Lioness of God who fearlessly treads the path of truth and righteousness.